Irene Evelyn Ulmer was born on January 23, 1927, to Charles and Alma (Williams) Achenbaugh in Carson, Iowa. Irene was raised on a farm near Carson. Irene married Kenneth Tiffey on January 9, 1948, in Council Bluffs, Iowa and seven children were born to this union. Irene married Jerry Ulmer on January 22, 1978. Irene worked at Bob’s Café in Woodbine and various other restaurants. She also worked construction in Harlan, Iowa. Irene enjoyed playing pool, cards and piecing together puzzles. She loved to watch Cubs baseball. Most of all, Irene loved watching her grandkids play sports and when they visited her at the nursing home. 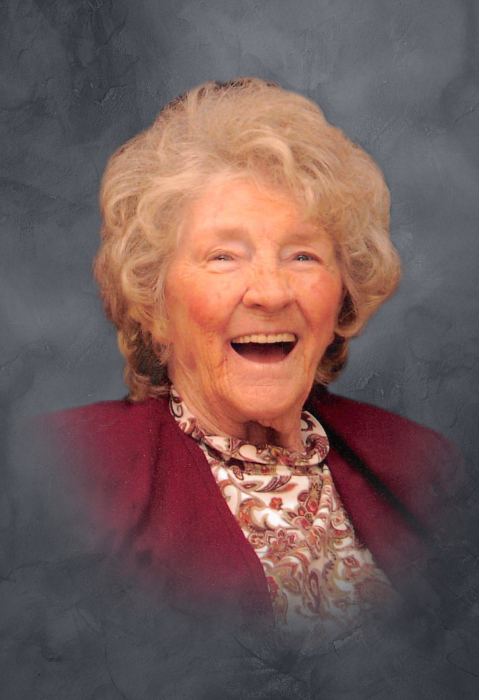 Irene died at the Longview Home in Missouri Valley, Iowa, on March 31, 2019, attaining the age of 92 years, two months and eight days. Irene was preceded in death by her husband, Jerry Ulmer; great-grandson, Cody Grandmont; step-son, Marvin “Bub” Ulmer; three sons-in-law, Mike Allen, LeRoy Allen, and Jim Schlensig; six siblings, Paul Achenbaugh, Anna Daniel, Ivadell Shook, Lorrain Markey, Virginia Nicoski, and James Achenbaugh. She is survived by seven children, Linda Schlensig of Webster City, Iowa, Anna (Darryl) Cleaver of Woodbine, Ken (Linda) Tiffey of Woodbine, Diane Allen of Missouri Valley, Iowa, Nancy (Larry) Evans of Logan, Iowa, Jean Allen and Joe Tiffey both of Woodbine; step-daughter, Marcia Gracie of Des Moines, Iowa; 33 grandchildren; 34 great-grandchildren; 18 great-great grandchildren; one sister, Joan Petersen of Irving, Texas; and many other relatives and friends.